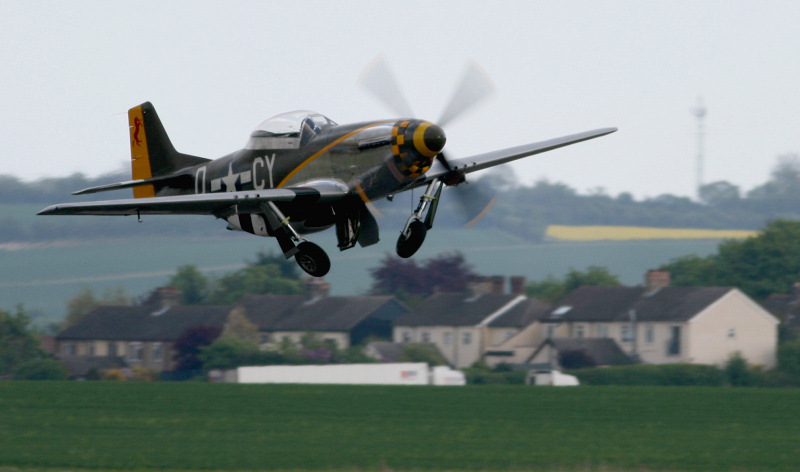 The weekend of the 15th-16th May 2010 saw IWM Duxford commemorate the 70th anniversary of the Battle of Britain. 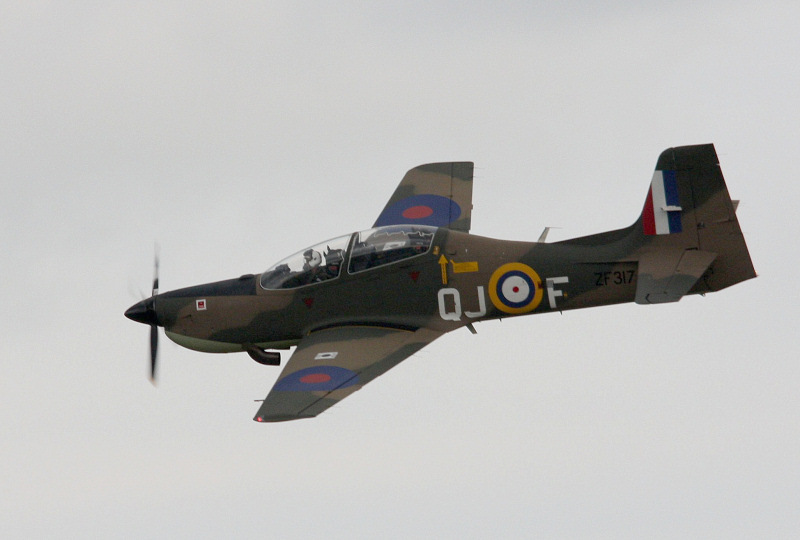 On Saturday, visitors could see the legendary aircraft of the Battle of Britain Memorial Flight, chat with Battle of Britain veterans, and the day ended with a sunset ceremony led by the Band of the Royal Air Force College and Queen's Colour Squadron which included a fly past of a Hurricane and Spitfire. 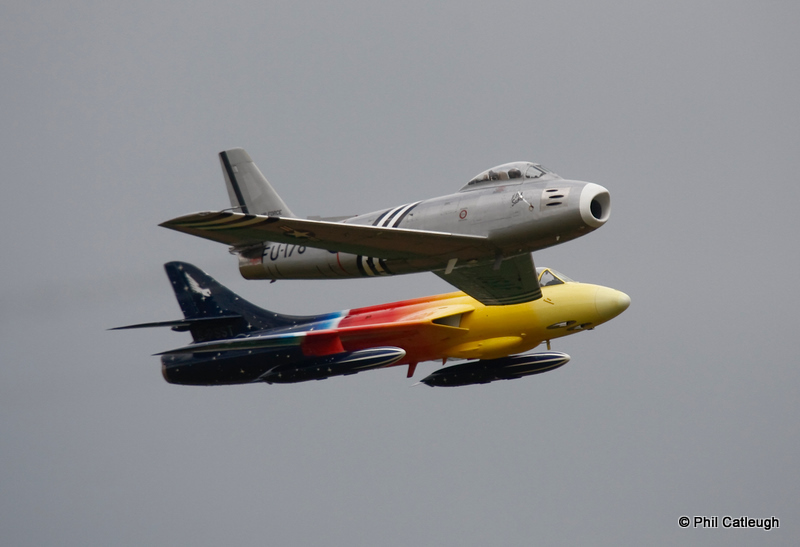 Sunday was the IWM Duxford Spring Air Show which featured the best of the RAF, past and present as well as commemorating the 70th anniversary of the Battle of Britain. 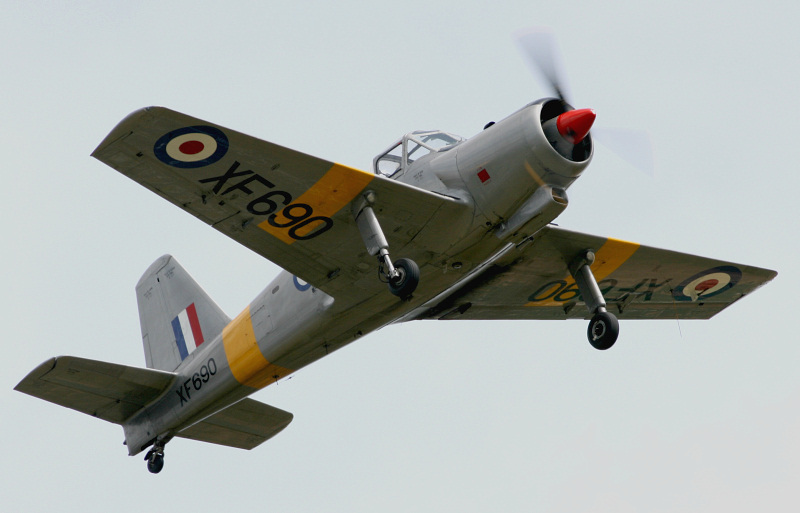 During the Battle of Britain, Duxford frequently scrambled its fighters against the Luftwaffe. 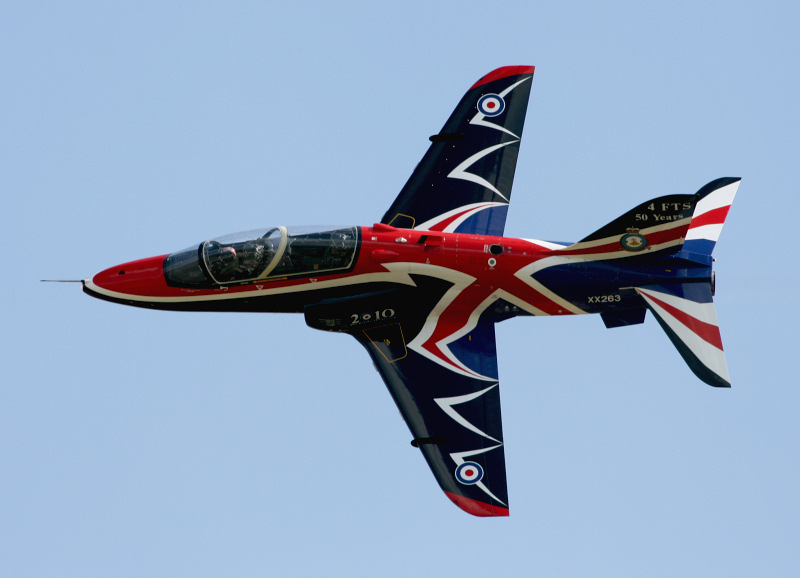 RAF Fighter Command was divided into groups. 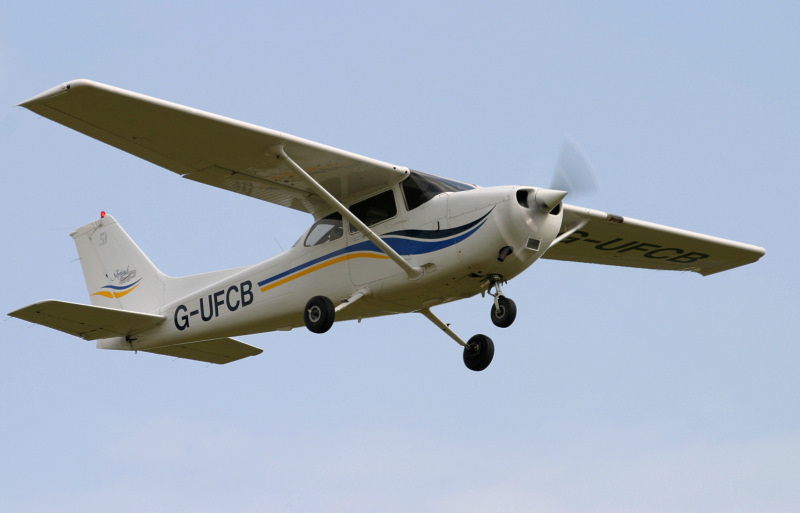 11 Group operated from South East England. 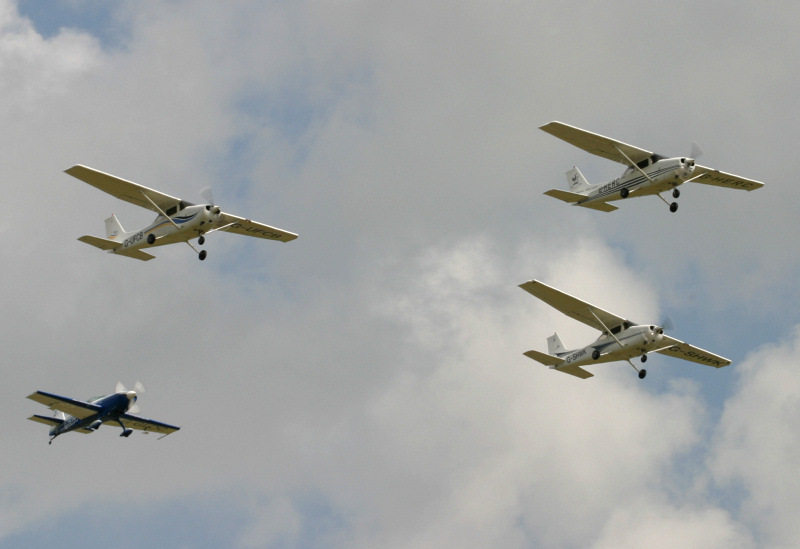 12 Group covered the area further North. 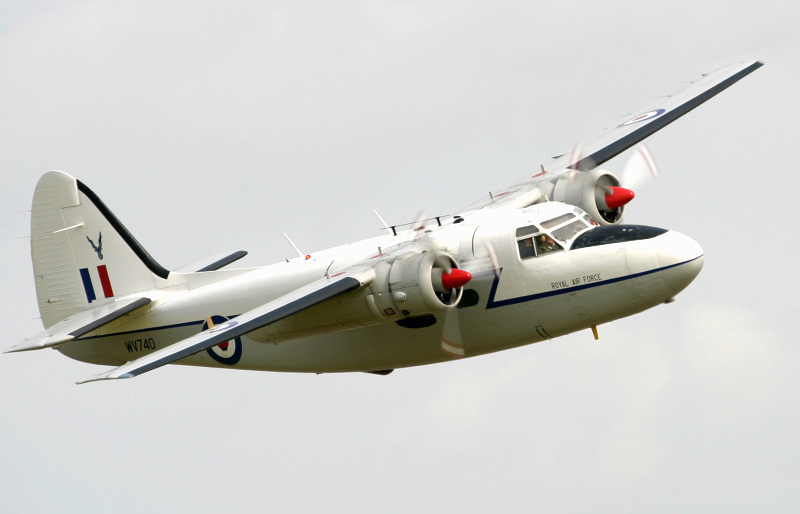 Duxford controlled a sector of 12 Group's area. 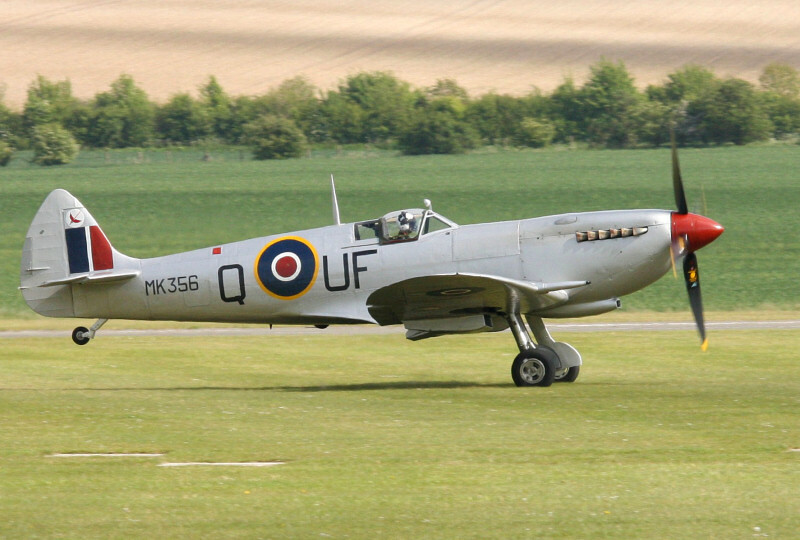 No 19 Squadron, based at Duxford, were the first to re-equip with the new Supermarine Spitfire aircraft which was flown into Duxford in August 1938 by Jeffrey Quill who was Supermarine's test pilot. 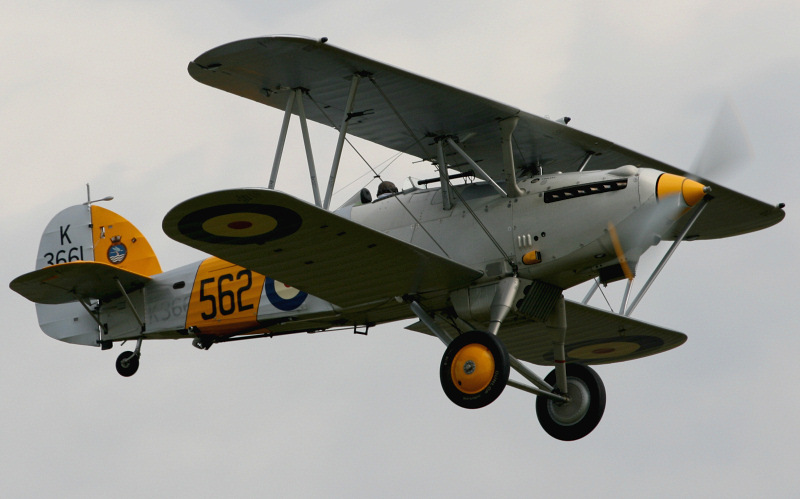 In February 1940, Flying Officer Douglas Bader was posted to No.19 Squadron. 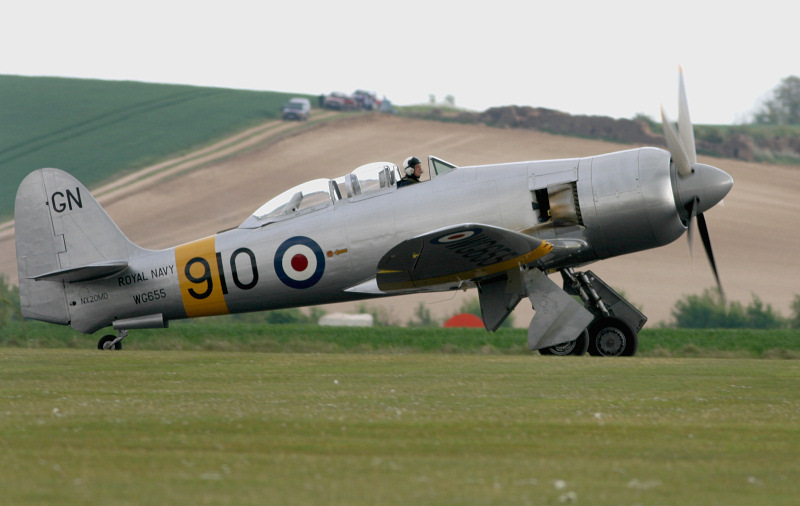 Bader is the most famous of a number of Fighter Command heroes who flew from Duxford. 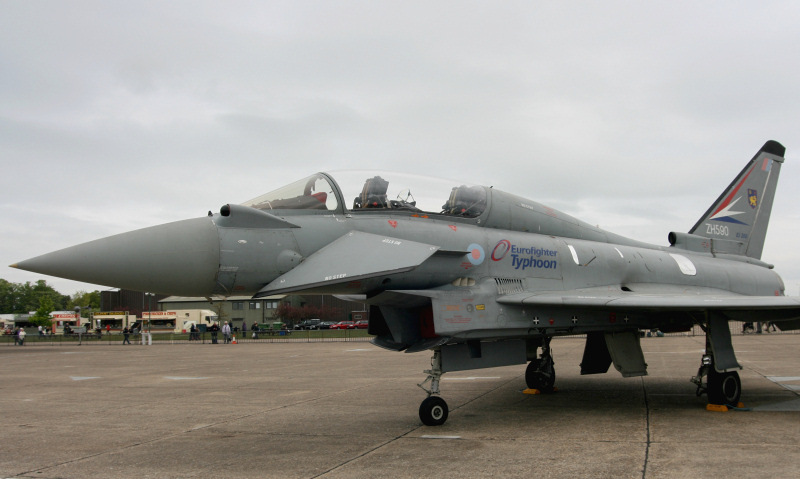 As the Battle of Britain progressed, 12 Group, commanded by Air Vice Marshal Leigh-Mallory was instructed to protect Air Vice Marshal Park's 11 Group airfields. 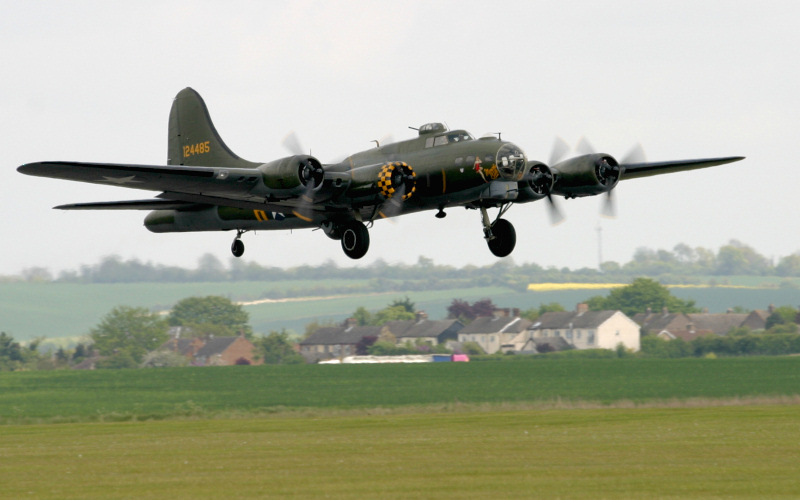 Leigh-Mallory was frustrated about this and wanted to attack the enemy in Wings of three or more squadrons. 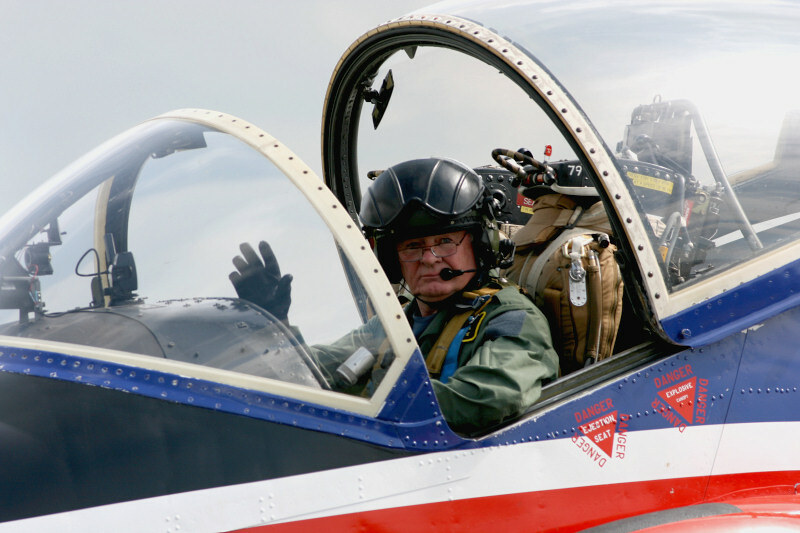 Park experimented with Wings but found grouping more than two squadrons together was slow and risky however Leigh-Mallory was impressed and authorised Bader to lead 242, 19, and 310 Squadrons as a Wing. 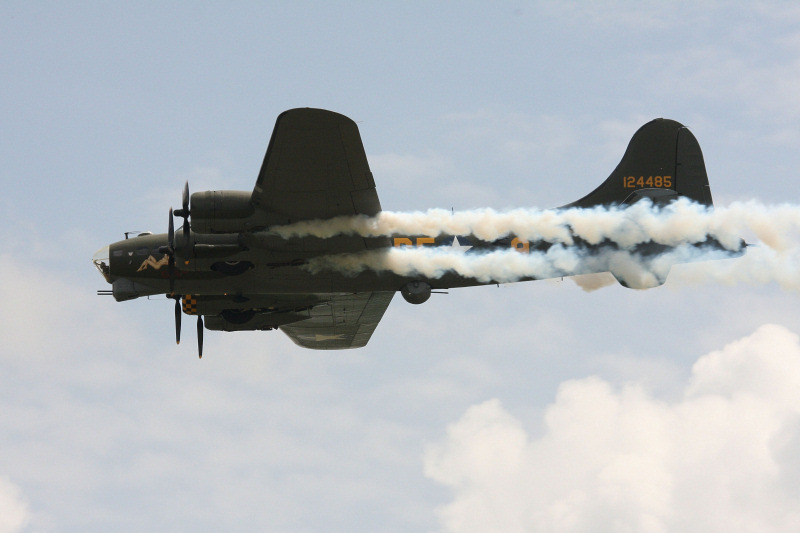 On 9th September 1940, the Duxford Squadrons succesfully intercepted a large force of German bombers forcing them to turn back. 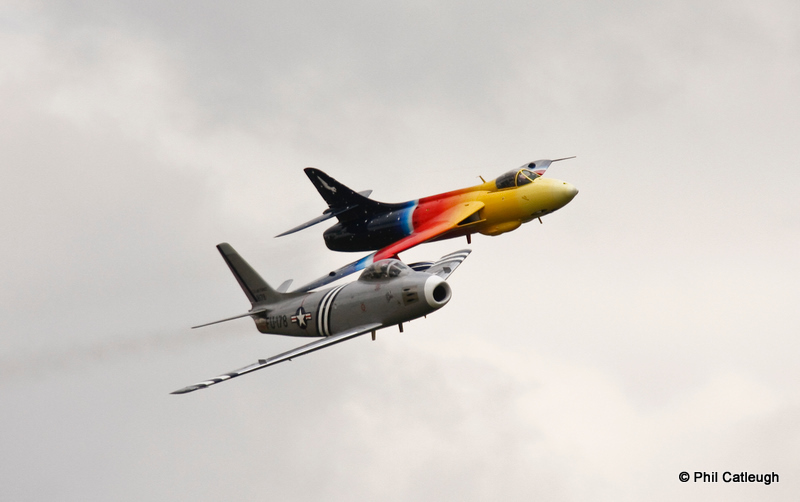 Because of this, two more Squadrons were added to the Wing. 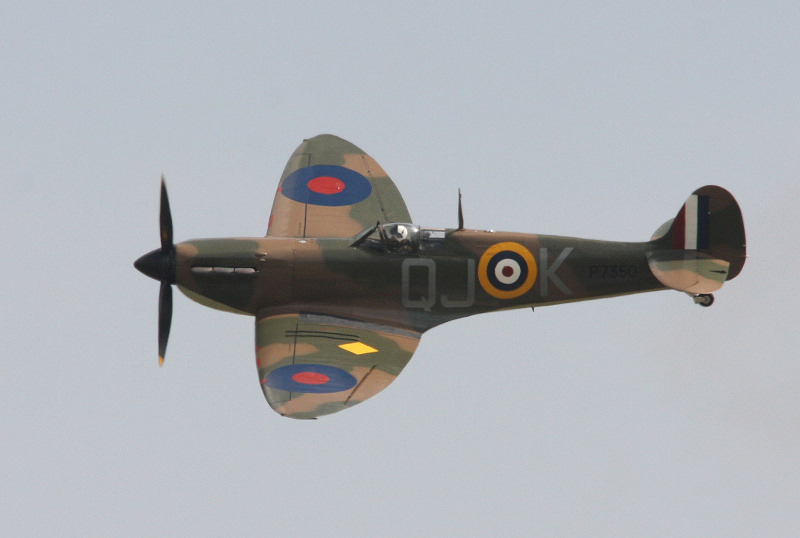 Bader's 'Big Wing' as it had become known was ready for action by 15th September 1940, which became know as 'Battle of Britain Day', and succesfully repulsed the Luftwaffe attacks which were aimed at London. 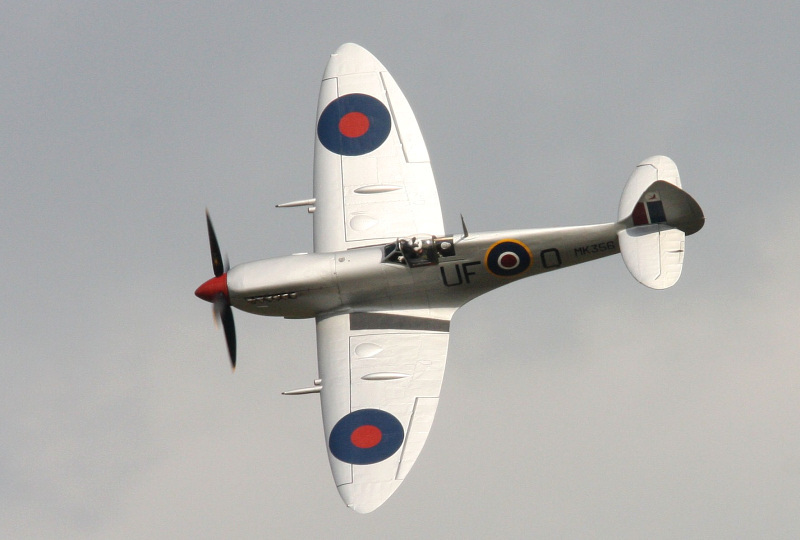 The flying display at Duxford included the Spitfire's, Hurricane's, and Dakota of the Battle of Britain Memorial Flight (BBMF). 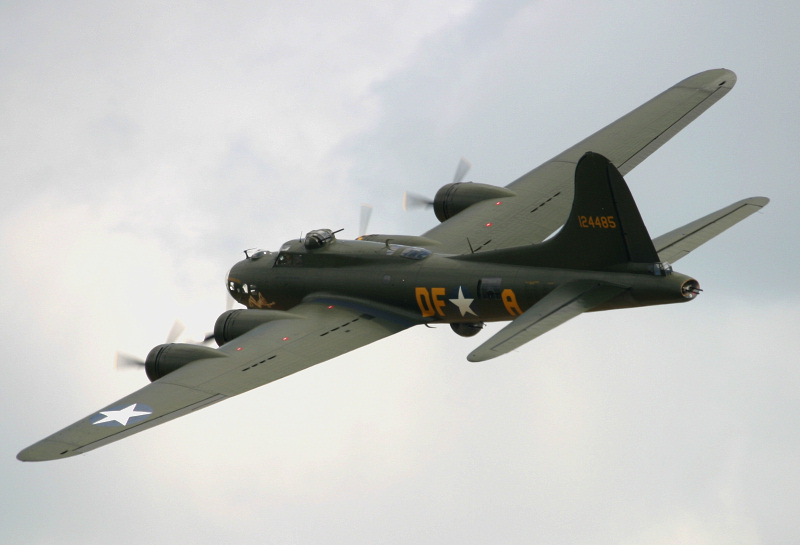 Unfortunately, the BBMF Lancaster was unable to attend due to the volcanic ash cloud from Iceland's Eyjafjallajokull volcano. 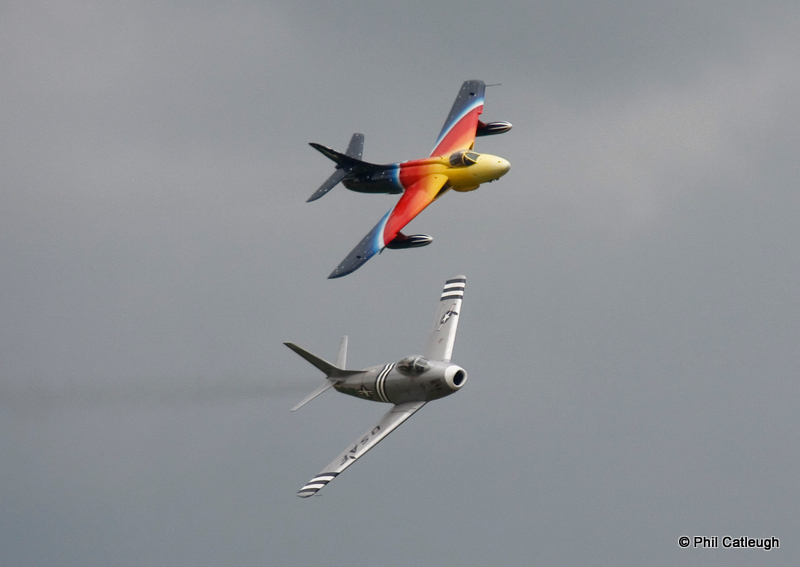 The ash cloud also prevented the RAF Typhoon from displaying but thankfully the RAF Hawk and RAF Tucano were eventually allowed to display. 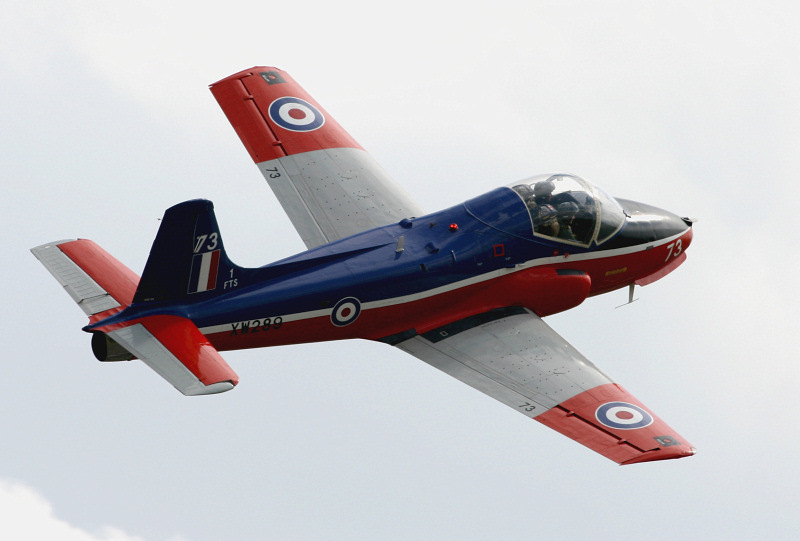 Despite these last minute cancellations, the organisers put on a seamless display without any gaps.The MET Office produces a map of the dust cloud with red and black zones. 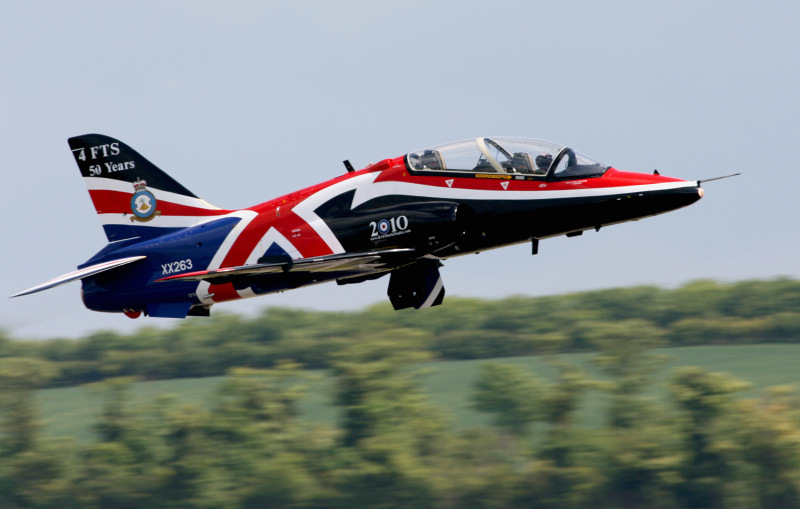 Currently the RAF do not usually fly in the black zone, but limited flying may be permitted in the red zone. 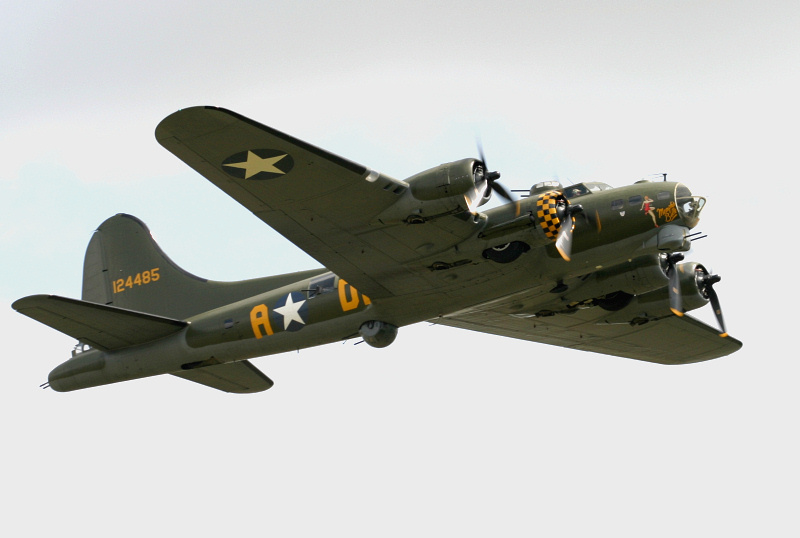 Also displaying were three Cessna C-172 along with an Extra 200 from Cambridge Aero Club (Marshall), the B-17 Flying Fortress 'Sally B' which was a most welcome sight after the engine problems that have plagued her, and a formation of three Hurricanes. 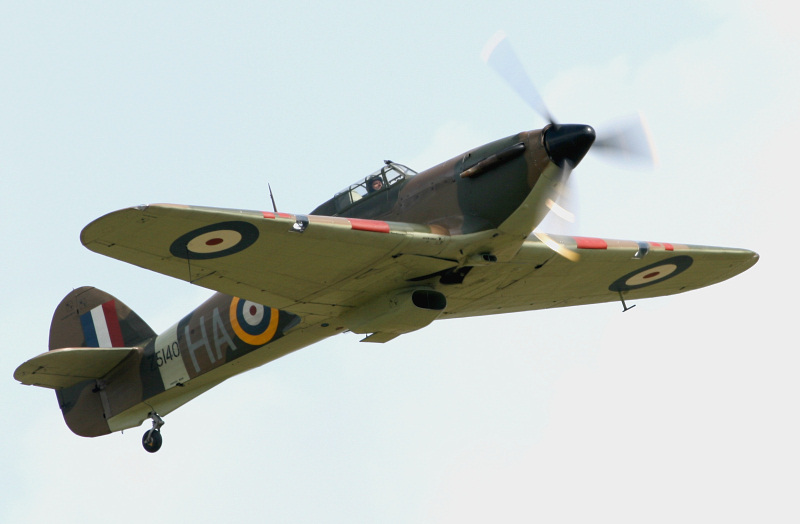 It should be remembered that the Hawker Hurricane played a vital role in the Battle of Britain and shot down more enemy aircraft then the rest of the air defences put together. 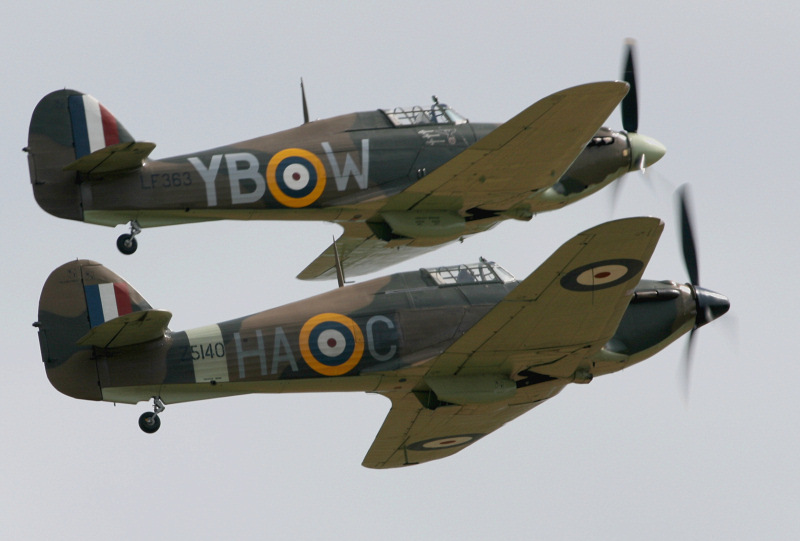 At that time there were about 32 Hurricane Squadrons compared to 19 Spitfire Squadrons. 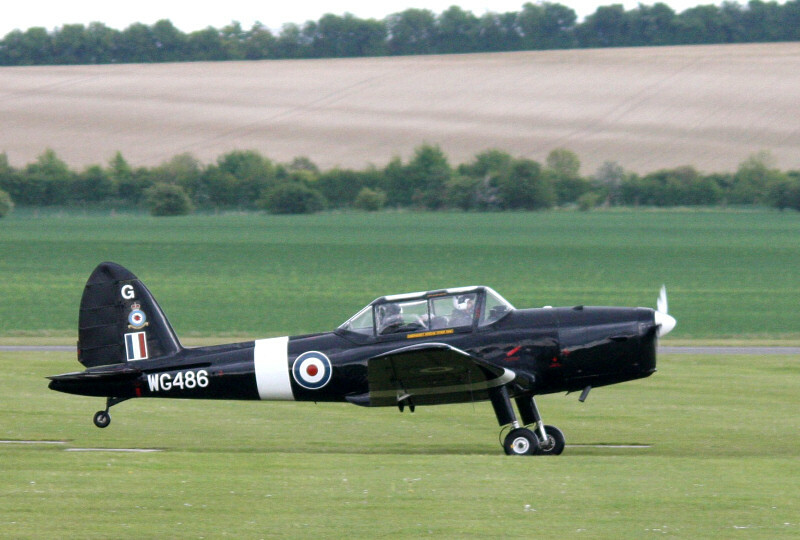 The RAF Tutor T1 from 115(R) Squadron, RAF Cranwell was cleared to display. 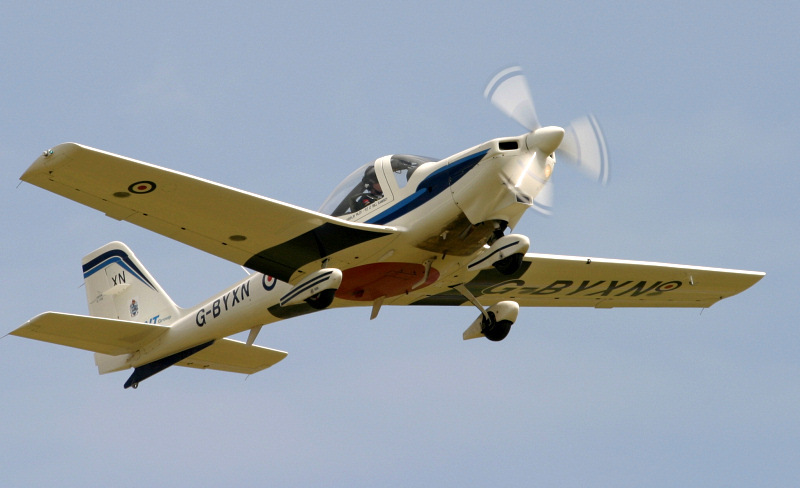 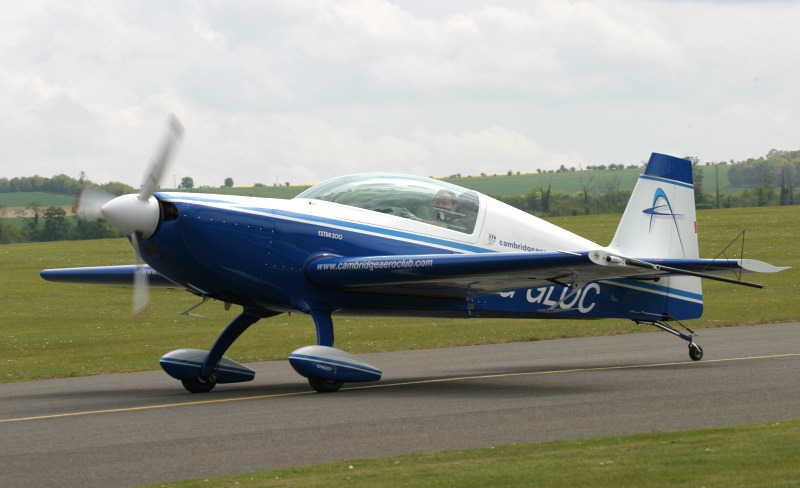 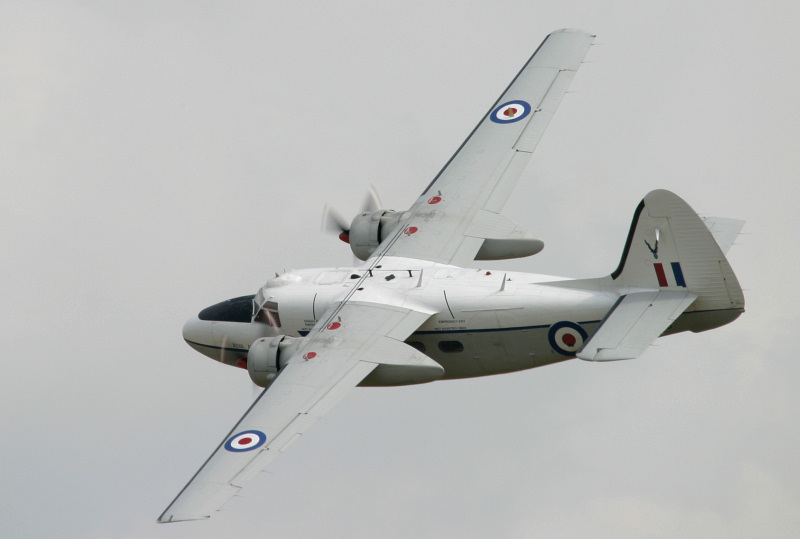 The Grob Tutor 115E is used by the RAF for elementary flying training and replaced the Scottish Aviation Bulldog. 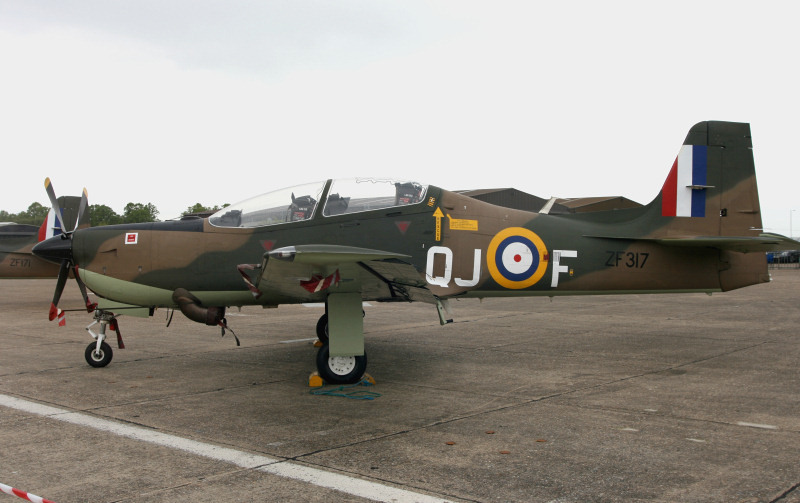 There was a Scottish Aviation Bulldog (XX630) on the flight-line on static display. 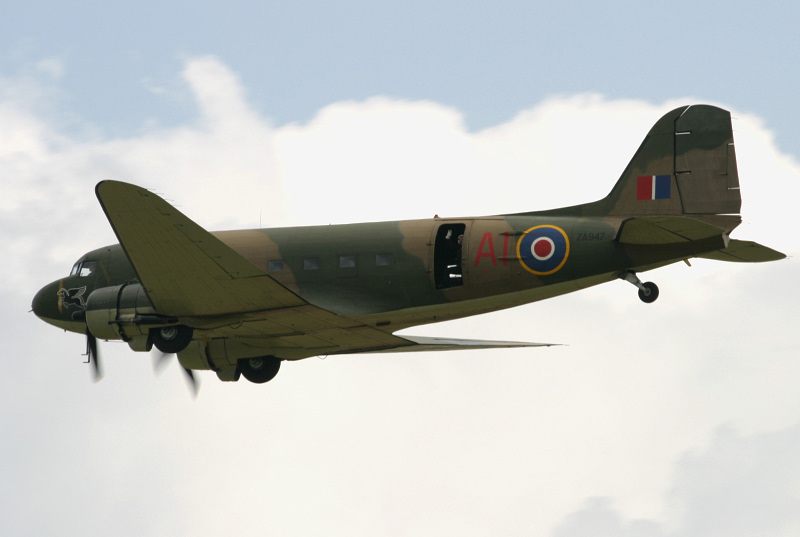 The BBMF Dakota Mk III also displayed and bears the markings of 267 'Pegasus' Squadron, which flew Dakotas in the Middle East and the Mediterranean during 1943/4. 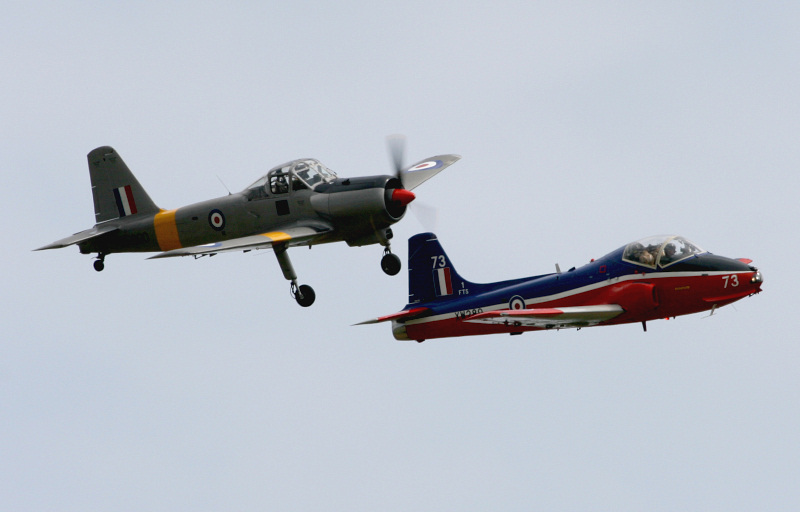 The Jet Provost V displayed with the Percival Piston Provost which are both owned by Cooke Aviation. 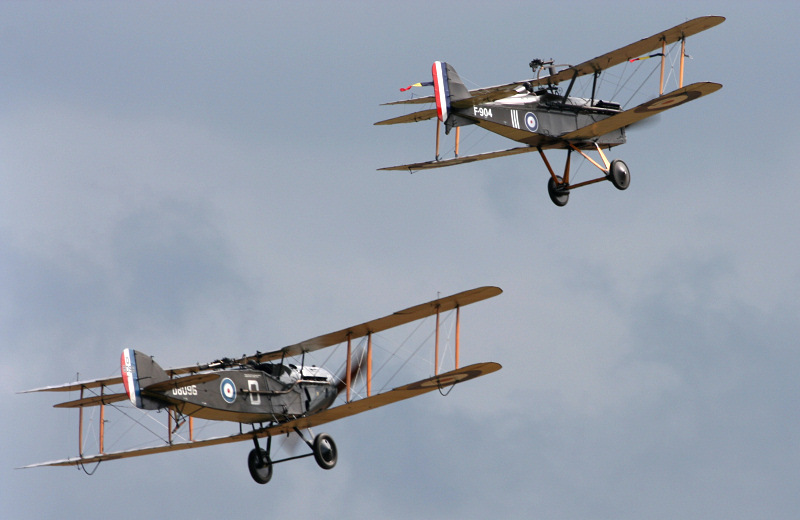 Shuttleworth's SE5 and Bristol Fighter displayed together. 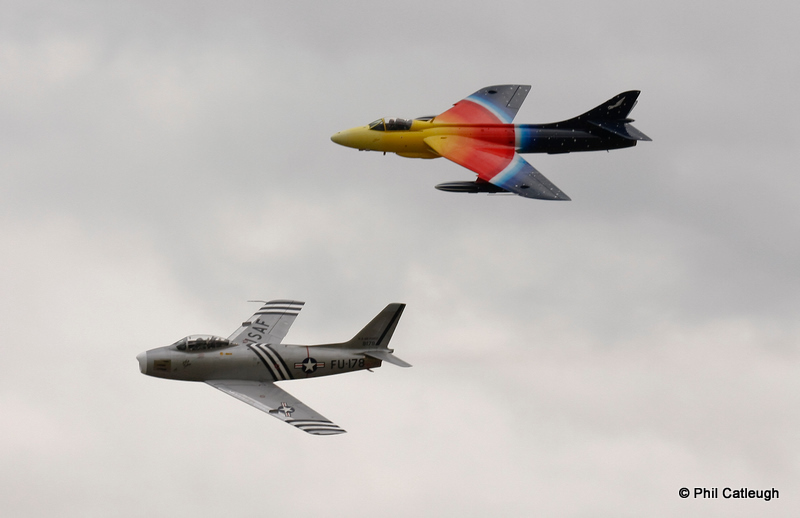 Both these aircraft are authentic aircraft and not replicas. 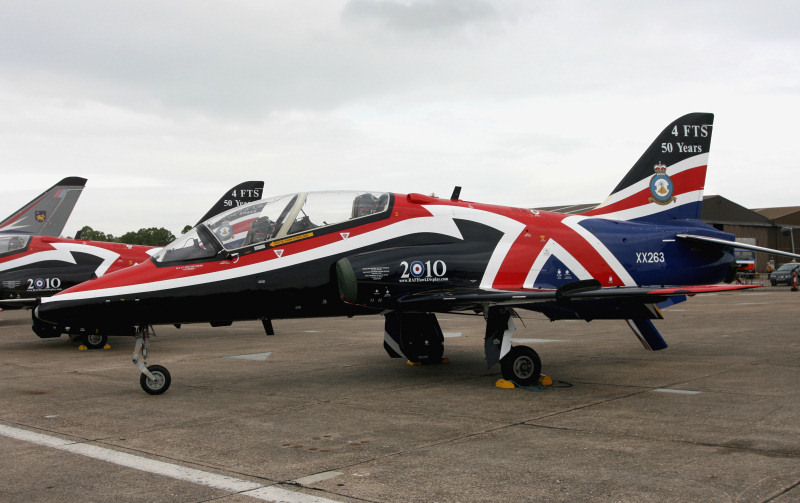 The RAF Hawk T1 of 208(R) Squadron, RAF Valley displayed in its new colour scheme which looks very impressive. 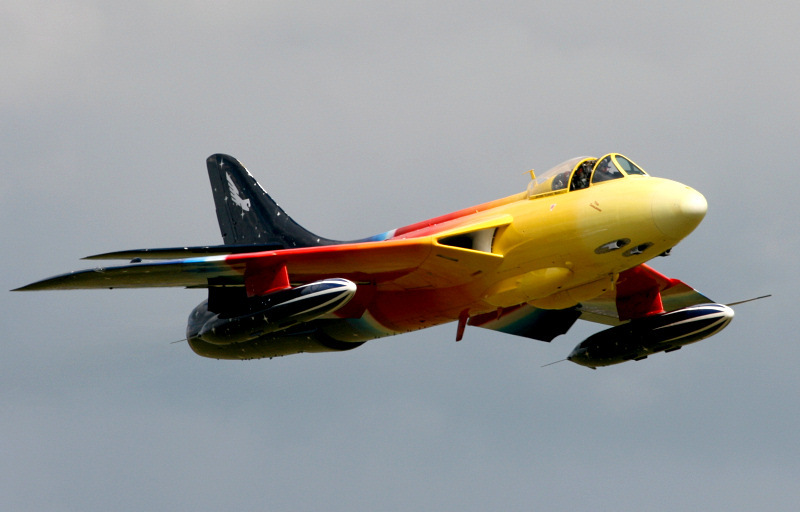 Next came the equally colourful Hawker Hunter 'Miss Demeanour' from Aviation Heritage Developments. 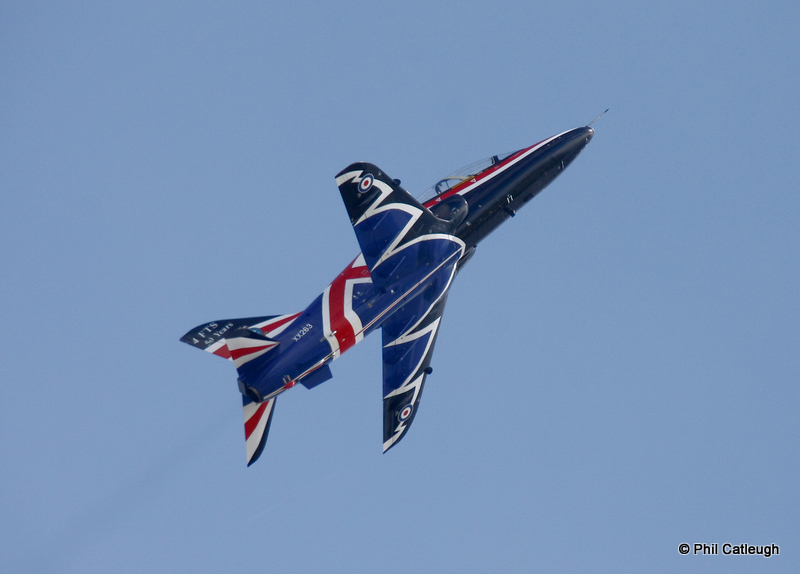 I thought the Hawk and Hunter both gave excellent displays and the Hunter's take-off was superb. 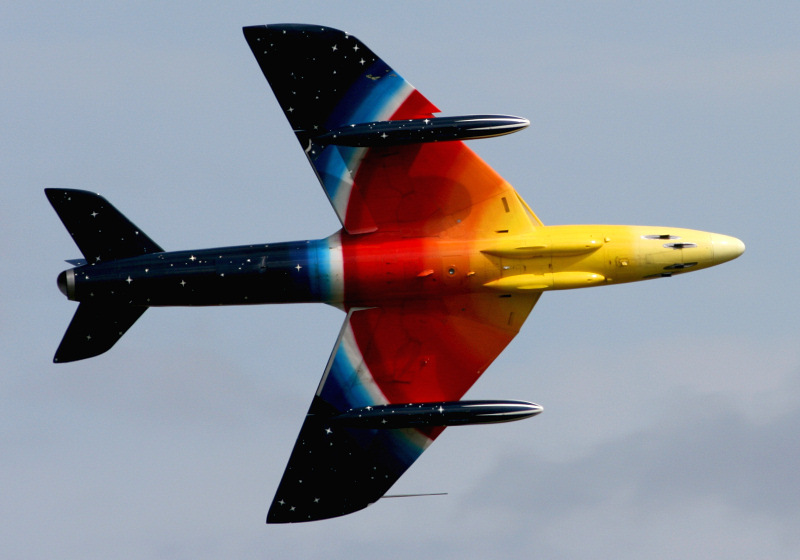 The Hunter landed complete with colourful drag chute. 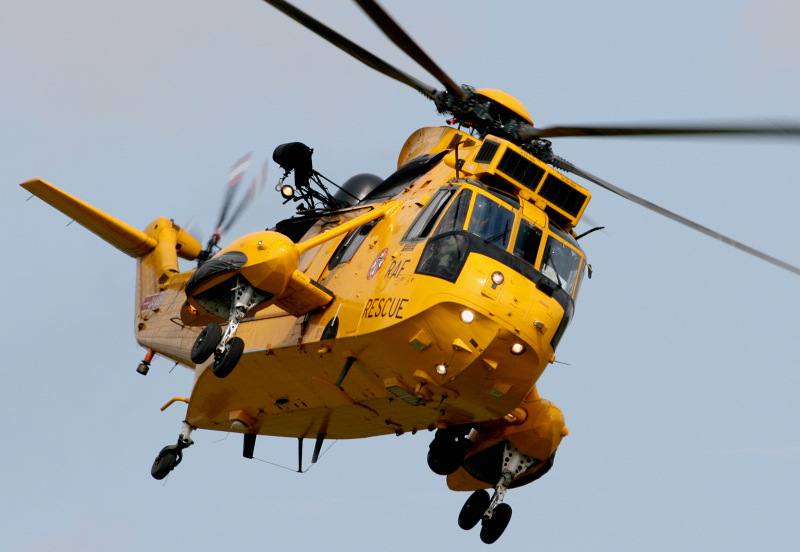 Historic Aircraft Collection's (HAC) Hawker Nimrod displayed next followed by a role demo by a 22 Squadron Sea King which is based at RAF Wattisham and then the Percival Pembroke. 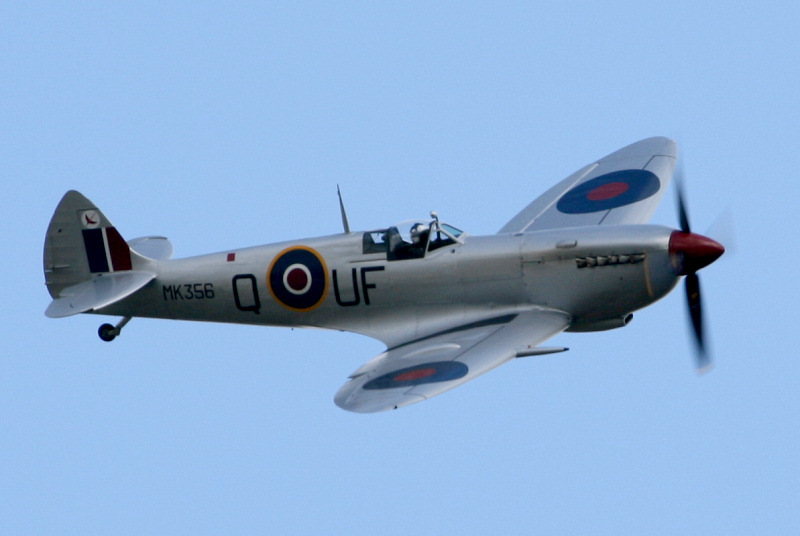 The RAF Typhoon was to have displayed with a Spitfire but the Spitfire performed a solo display. 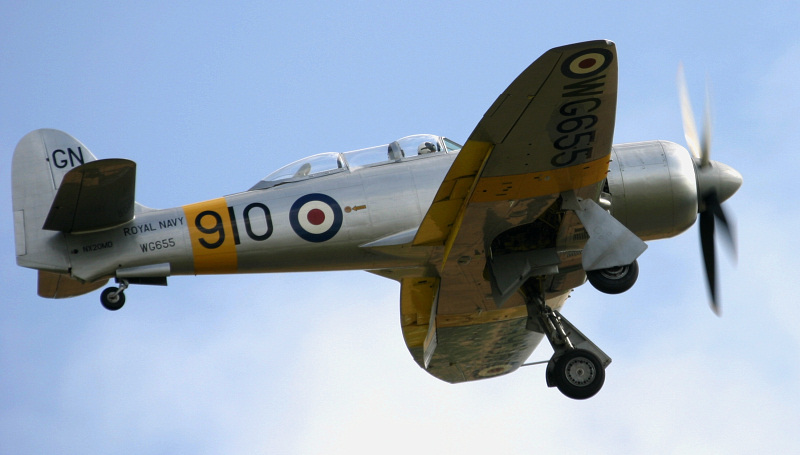 The Fighter Collection's (TFC) Sea Fury T-20 gave an impressive display showing the power of this aircraft which was one of the fastest production single piston-engined aircraft ever to be built. 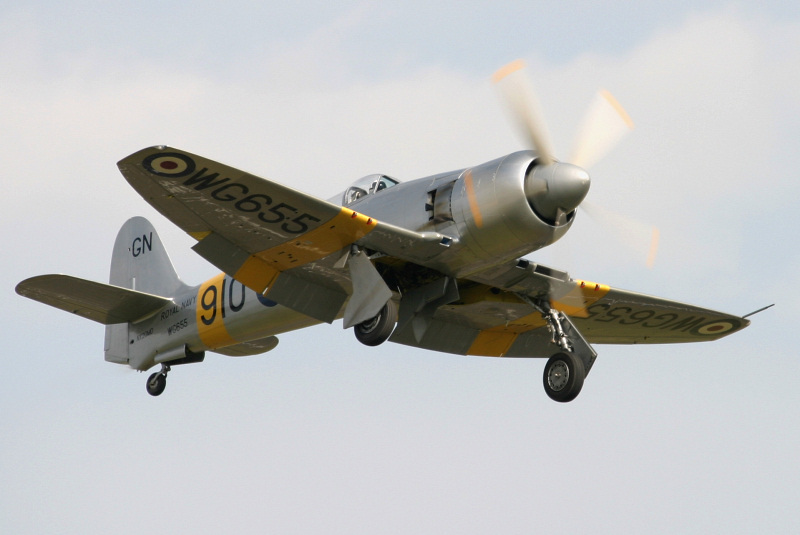 The Sea Fury served in the Korean war and was one of the few propeller aircraft ever to shoot down a jet. 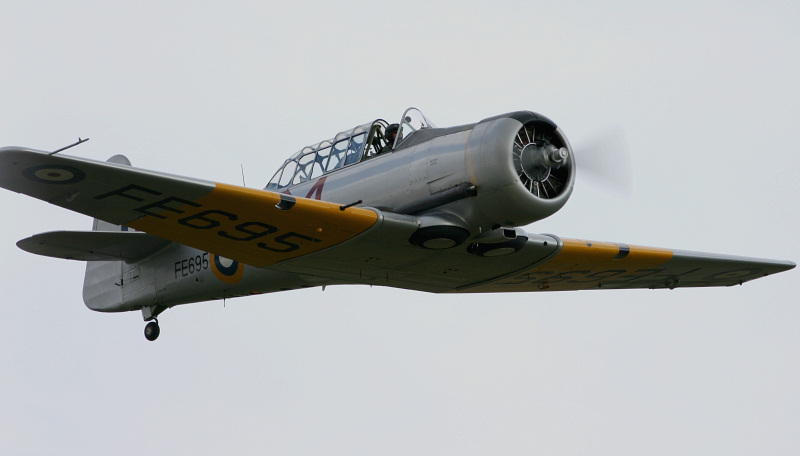 The de Havilland Dragon Rapide displayed with a couple of Chipmunks and the Fighter Collection displayed its North American Harvard and TF-51D Mustang 'Miss Velma'. 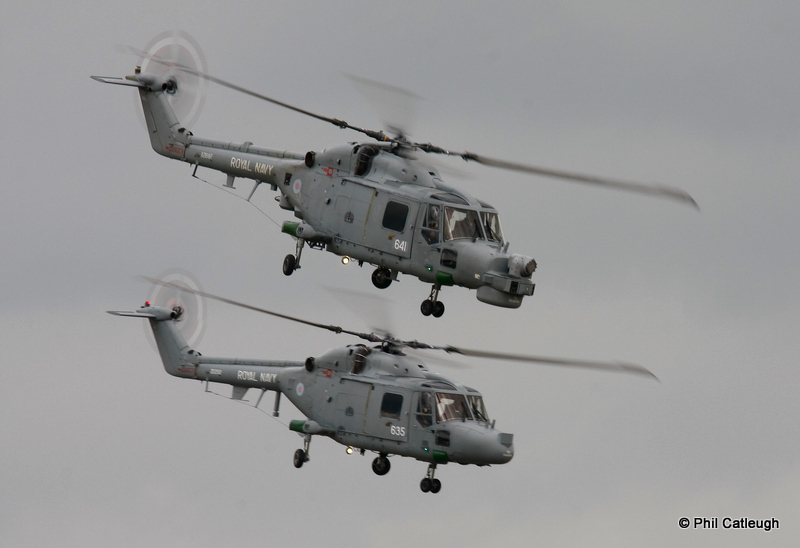 The Royal Navy Black Cats displayed in two Lynx helicopters showing off the capabilities and agility of these helicopters. 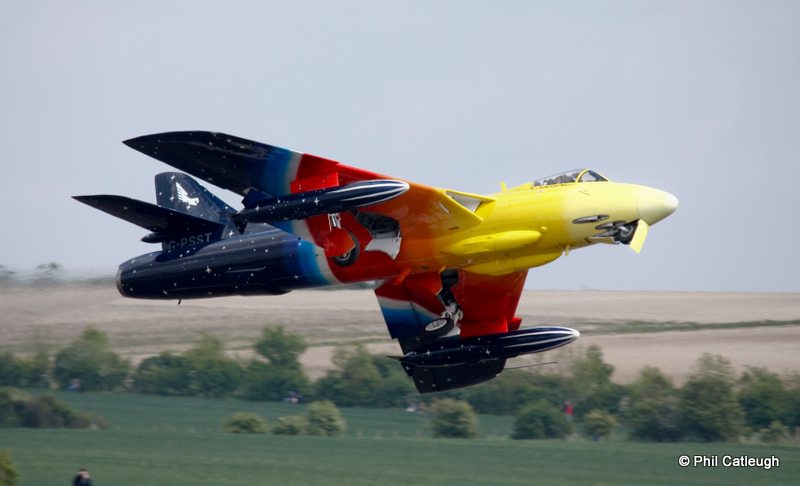 The 'Black Cats' name comes from naval slang meaning one-upmanship. 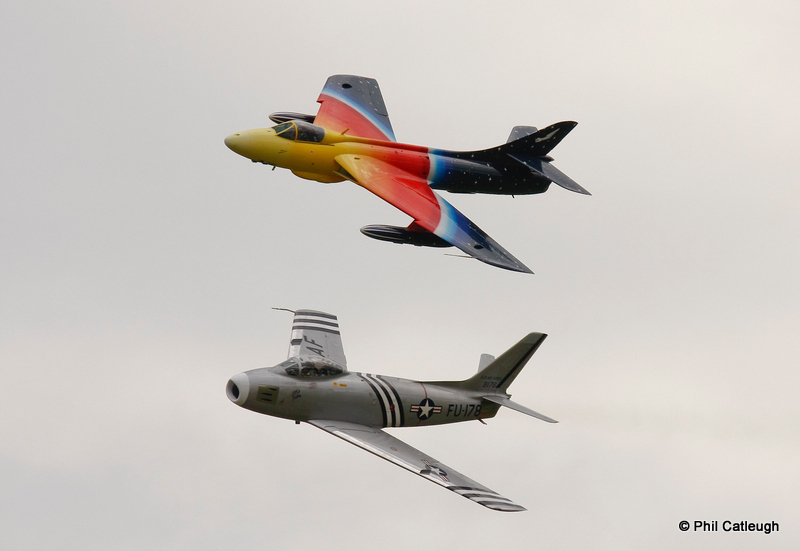 The North American F-86A Sabre put on a display and was joined by the Hawker Hunter, 'Miss Demeanour'. 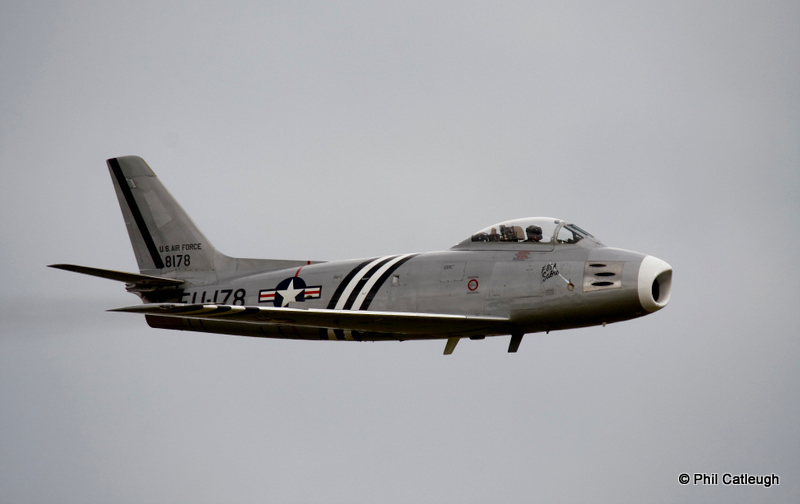 The Sabre saw service in the Korean war where it shot down the enemy at a kill/loss ratio of over 10 to 1. 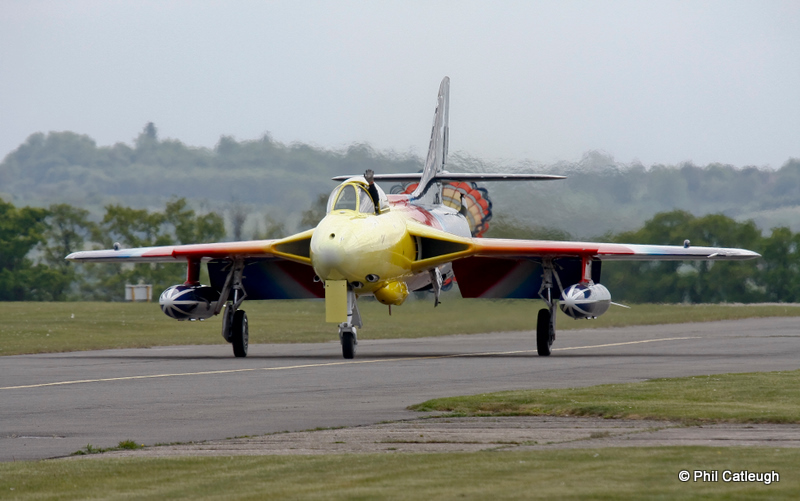 Article by Dave Key with additional photographs by Phil Catleugh & David Hackney.